The Goods and Service Tax(GST) is one of the mostsignificant tax reform post independence and has rightlyattracted heightened interestfrom all stakeholders. Itis expected to replace our current complex Central andState indirect taxes to createa common market for India with a seamless indirect tax regime. A right design of GST with broad base and moderate rates will help reduce the cascading and will be an excellent enabler for the “Make in India” theme. GST will be transformational and the implication on the industry extends well beyond Tax. GST is a tax on supply of goods and services ( other than exempted ). 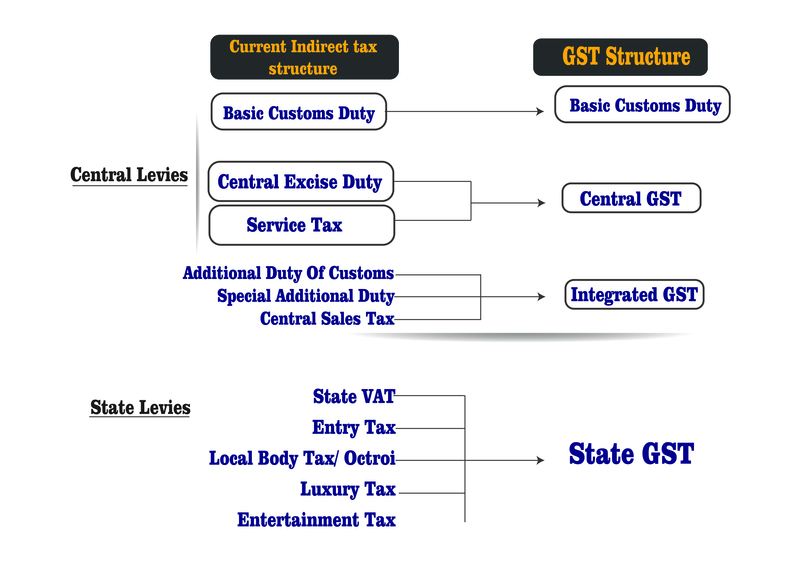 GST is a destination based tax ( there are two types of taxes, origin or destination based, origin based tax is levied where goods and services are produced, destination based tax are levied where good and services are consumed ), GST is a complete change from earlier origin based Excise duty. Areas in which it gets impacted. Selling and purchase pricing of the item and services. Product costing and cost of sales. Business process and standard operating procedures. ERP System customisation and modification. New reporting and statutory requirement ( like new registration, new reporting format etc., ). Changes in HR policies, normally the business will get the GST credit for all business expenses spent by employees. 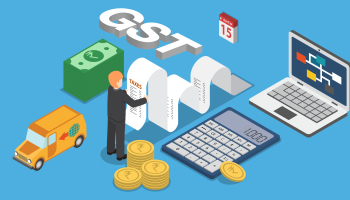 Prokorp has been closely involved with the GST initiative through its Policy Advisory Group- a specialized team of experienced professionals,including former government officials – that advises businesses as well as governments on diverse policy issues. The Group helps businesses anticipate policy changes,assess their impact on their operations, and engage in a constructive dialogue with the relevant authorities for remedial measures to address any concerns. The Group has diverse VAT and GST experience with extensive interactions with both the Central and the State Governments in India and overseas engagements in various jurisdictions. 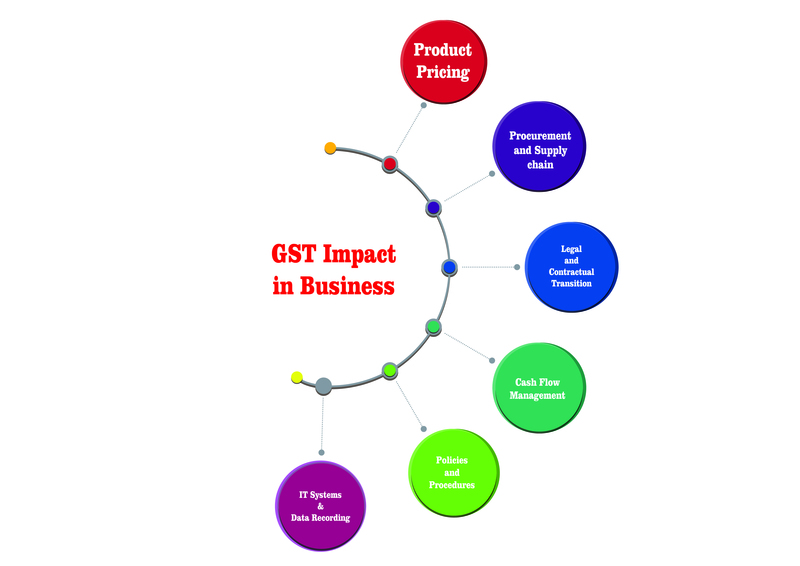 Prokorp can assist you to assess your business and operations, quickly identify the GST impact areas highlighting the most critical issues and work with you on developing an implementation plan for your business. We have mobilized a dedicated team with multi-disciplinary attributes to assist you in your journey. Our team comes with the inherent breadth and depth of experience and expertise in Tax and Advisory as well as knowledge and experience in GST. Whether you are a multinational conglomerate or a small and medium enterprise, Prokorp would be able to meet your needs. Our set up allows us to tailor our services to what your business requires to cross the finishing line. Excellent team having vast experience in the system implementation and statutory compliance. One of our Director has successfully completed the GST – Malaysia implementation recently ( 1st April 2015 ) for the multinational manufacturing company with the work force of more the 1500 employees across the globe. More than 15 years experienced Chartered Accountants, Company Secretary, CISA holders – Certified Information System Auditors ( US ) and Lawyers to handle any extend of expertise. System implementation experts having experience in more the 20 projects with the implementation experience in UK, India, Malaysia, Thailand, Hong Kong, UAE, Saudi, Kenya, Turkey and China. We use the best practices and holistic approach in the implementation. We follow the best project methodology in the implementation and changes ( like Requirement Analysis, Gap analysis, Solution development, Testing, Training and Close out ). Testing of IT systems, setup and configuration of system, update the masters, migration of data and cut over. We undertake the statutory reporting after GST implementation, which will reduce the burden of report submission by the business. 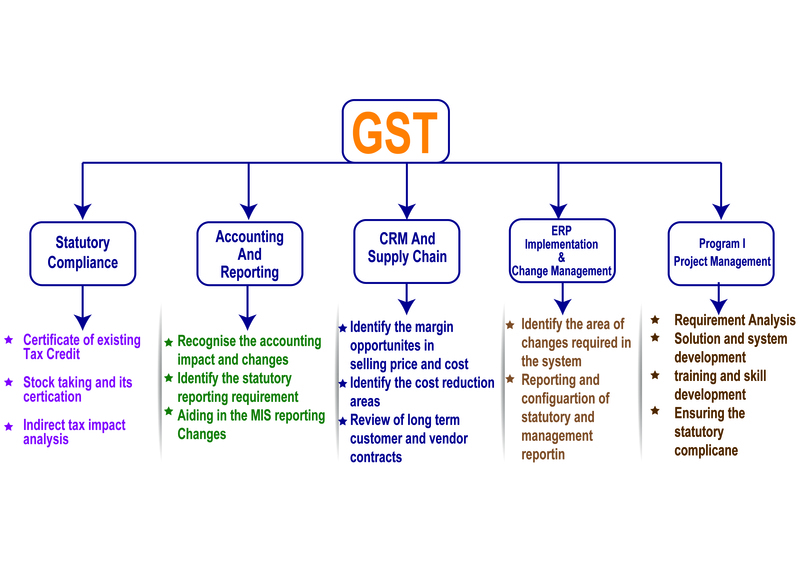 We also formulate the MIS reporting for the business during GST implementation. 3) Documentation of pre GST and post GST regime.